STATE CAPITOL, PHOENIX – House Minority Leader Chad Campbell, D-Phoenix (District 24), released the following statement on SB 1325, a bill that would allow designated school employees to carry concealed weapons on school campuses that are more than 30 minutes and 20 miles away from a law enforcement agency. “We know that arming school employees is not the solution to the gun violence problem in our schools. I have a list of concerns with this bill. SB 1325 would allow any designated school employee to carry a concealed weapon on school campuses and does not require adequate training. We can’t expect school employees to react the way a trained peace officer would in an emergency situation. “School resource officers are trained for emergency situations. Instead of wasting time on bills like this, we should be funding the school resource officer program. Schools that are more than 30 minutes and 20 miles away from a law enforcement agency are prime candidates for a school resource officer. “The extremists at the Capitol seem to think that arming school employees is the only option to prevent gun violence in schools. That is completely false. There are plenty of things we can do to prevent gun violence. In fact, I proposed a series of bills that presented a comprehensive approach to protecting our schools and communities from gun violence. My plan would have increased school safety and security. It also would have provided mental health services and interventions to stop those with severe mental health issues from having access to firearms. Unfortunately, extremists here blocked my efforts. Despite Democratic opposition, the House Appropriations Committee passed the bill today. STATE CAPITOL, PHOENIX – House Democrats respond to reports that the Armed Citizen Project plans to distribute shotguns to residents in three Tucson neighborhoods. “This is plain lunacy. This group is planning to distribute shotguns in three neighborhoods, Pueblo Gardens, Midvale Park and the Grant-Campbell area. These neighborhoods did not request to be part of this twisted social experiment. This effort is spearheaded by a former Tucson political candidate who is looking to grab headlines. If this is such a good idea, why isn’t he handing out shotguns to people in his own neighborhood? “The plan to hand out shotguns in neighborhoods is ideological extremism at its worst. This is a political gimmick that could have dangerous consequences. It is not a real solution to the violence that is occurring in our state and across the country. “The people of Arizona have issued a very clear directive – help us make our communities safer. I proposed a series of bills that presented a comprehensive approach to protecting our schools and communities from gun violence perpetrated by those who have, too often, slipped through the cracks of our legal or mental health systems. My plan would have increased school safety and security, provided mental health services and interventions to stop those with severe mental health issues from having access to firearms. It also would have ensured only those who can pass a background check would have access to the most deadly guns. “A handful of extremist ideologues at the Capitol were able to keep this legislation from moving forward. It is evidence that these extremists would rather push an ideological agenda than engage in any meaningful attempts to curb gun violence in our state. STATE CAPITOL, PHOENIX – Rep. Andrew Sherwood, D-Tempe (District 26), released the following statement regarding a strike-everything amendment to SB 1045, which would give people and businesses permission to deny access to privacy areas, such as restrooms, locker rooms and dressing rooms, based on gender identity or expression. This amendment would stop cities and towns from enacting and enforcing policies that protect people from discrimination based on gender identity or expression. Sherwood serves on the House Appropriations Committee, which is scheduled to hear the amendment today. “The Tea Party extremists at the Capitol are more interested in legislating restroom use than they are in passing a budget. Since last week, I’ve received hundreds of emails and phone calls from Arizonans who are disappointed with the direction that extremists in our Legislature are taking. “These extremists are engaging in political grandstanding, fear mongering and diversionary tactics when the people want the Legislature to focus on the priorities all Arizonans share like job creation, economic development, education and health care. “The proposed striker to SB 1045 is a solution in search of a problem. There are over 160 cities and towns across the country that prohibit discrimination based on gender identity or expression. Other cities in Arizona have ordinances like the one the City of Phoenix just passed, and they haven’t resulted in people inappropriately using restrooms, putting public safety at risk or raising privacy concerns. Arizona already has criminal laws in place to deal with any perpetrator who would do that. 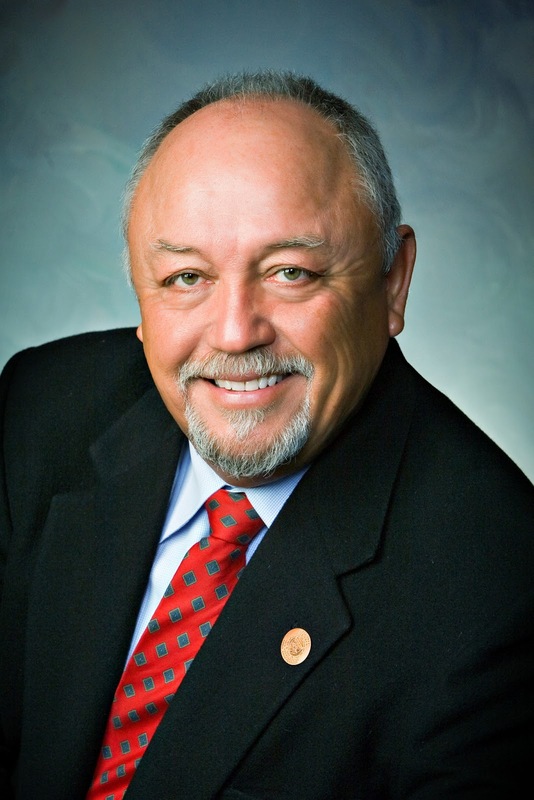 STATE CAPITOL, PHOENIX – Today the Arizona Senate Appropriations Committee unanimously passed a bill sponsored by Rep. Juan Carlos Escamilla, D-San Luis (District 4), that would provide additional funding for Arizona state parks through donations. HB 2621 would create an option for people to donate to state parks when registering vehicles in Arizona by establishing the Sustainable State Parks and Roads Fund. State parks would receive 85 percent of all the money contributed to this fund. The rest of the money would go to the Arizona Department of Transportation. Escamilla added that state parks are job creators. The bill must now go to the Senate Rules Committee for a hearing. STATE CAPITOL, PHOENIX – House Democrats today voted against a Republican effort to make it more difficult for people who need unemployment benefits to prove that they qualify for those benefits. “We really should be finding more opportunities to create jobs, instead of spending time voting on legislation that will make it harder for unemployed people to get back on their feet,” Rep. Debbie McCune Davis, D-Phoenix (District 30), said. The House of Representatives passed HB 2147. If this bill becomes law, former employees would have to prove to the Department of Economic Security they were laid off to be eligible for benefits. People are not eligible for unemployment benefits if they quit a job or are fired. Employers already have the right to contest a claim for unemployment benefits which makes HB 2147 unnecessary and unfair. The bill passed, despite unanimous opposition from the House Democrats. Next it will go to the governor. “Henry ‘Hank’ Oyama was a man of many accomplishments. He lived a life of service. His mother was from Japan but he was born in Tucson and his primary language was Spanish. He and his family were sent to a Japanese-American internment camp during World War II when he was just 15 years old. He still chose to serve his country in the United States Army and Air Force when he graduated from high school in 1945. “Hank served in many other ways. He helped to stop a discriminatory practice in Arizona. More than 50 years ago, he and his wife were not allowed to marry because Arizona law prohibited interracial marriage. Hank was of Japanese descent and Mary Ann Jordan, the woman who would become his wife, was not. “Together they worked with the American Civil Liberties Union to change the law, which the Arizona Legislature repealed before the U.S. Supreme Court ruled to end all race-based marriage restrictions. Hank and Mary Ann were married until her passing in 1987. “Years later he would pioneer efforts to bring bilingual education to schools in the Southwest and worked with federal lawmakers to fund bilingual education. He spent 18 years working for the Tucson Unified School District, which named an elementary school for him in February 2003. 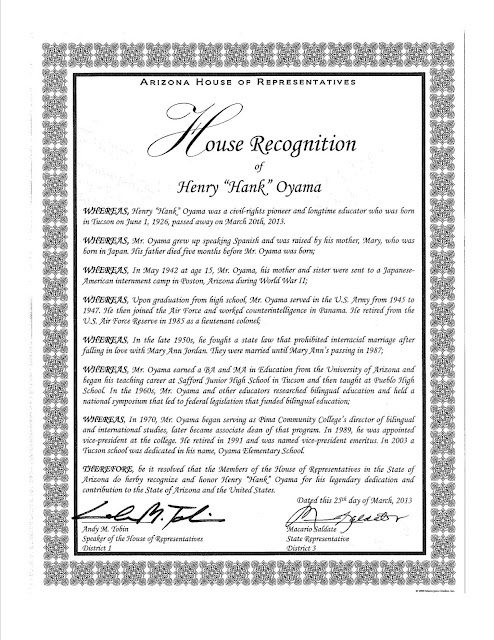 According to the Arizona Daily Star, Oyama is survived by his wife of 21 years, Laura Ann; daughter Mary Catherine Tate; sons David Oyama, Patrick Oyama and Steven Oyama; stepchildren Susanna Minegishi, Chris Toledo, Elizabeth Toledo, Pablo Toledo and Andrea Leyva; 14 grandchildren; and six great-grandchildren. STATE CAPITOL, PHOENIX – Today the Arizona Native American Caucus met to find ways to reduce the occurrence of obesity in communities across Arizona. Dr. Paula Hale, director of policy and advocacy at Our Health, Our Lives, Inc., provided the caucus with startling facts about obesity. She said that overall across the country, obesity is on the rise. She added that the problem is even more profound in most of the Native American communities in Arizona. She explained that the obesity trend in Native American communities can be attributed to a number of factors including lack of access to nutritious foods, difficulty incorporating exercise into lifestyles, poverty and a lack of information and education about the effects of obesity. Rep. Hale agreed, adding that there are many misconceptions about nutrition in Native American communities. ICM Food and Clothing Bank Executive Director Renea Gentry and Director of Development Jacquelyn Ahrenberg also attended the caucus meeting. Ahrenberg said that in many communities it is easier to get a prepackaged brownie than it is to find fresh vegetables. She also said that there is a connection between poverty and high obesity rates. “It is just easier to buy junk food if you are on a fixed income,” she said. Before the caucus adjourned, members agreed to work together to develop ways to bring awareness to the obesity issues in their communities. STATE CAPITOL, PHOENIX – President Barack Obama nominated Assistant Attorney General Tom Perez to head the Labor Department. Assistant House Minority Leader Ruben Gallego, D-Phoenix (District 27), released the following statement in support of this nomination. “Assistant Attorney General Tom Perez is highly qualified and, over the years, has been a constant voice for hardworking middle-class families. I strongly support his nomination and believe he will be extremely effective at promoting broad-based economic growth. “Perez has consistently shown that he is a pragmatic leader and a consensus builder. He has had a long career in public service and much of his work was focused on helping families targeted by unfair mortgage lending practices. Additionally, he has worked to increase access to education. He has also worked to increase the enforcement of human trafficking laws. Perez served as the secretary of Maryland’s Department of Labor, Licensing and Regulation, which protects consumers and workers through the enforcement of a wide range of consumer rights, workplace safety, and wage and hour laws. “He is the son of immigrants from the Dominican Republic, and he is firmly committed to preserving the American dream. His father passed away when he was only 12 years old but not before teaching him and his four siblings the importance of hard work and public service. STATE CAPITOL, PHOENIX – Rep. Martin Quezada, D-Phoenix (District 29), released the following statement on the Arizona voter ID case heard in the U.S. Supreme Court today. “Today the U.S. Supreme Court heard arguments in Arizona v. Inter Tribal Council of Arizona, a case that focuses on Arizona’s requirement that people submit documents proving their citizenship when they register to vote. The National Voter Registration Act increased opportunities for Americans to vote and standardized registration practices to better ensure equal treatment. The court will determine whether this voter protection prevents Arizona from imposing unfair voter registration requirements. “There is already a standard federal voter registration form that requires people to affirm their citizenship under penalty of perjury. This practice is used by many states. In 2004, Arizona adopted voter registration requirements that undermined the NVRA and created unnecessary obstacles to voter registration, particularly to recently naturalized citizens. STATE CAPITOL, PHOENIX – Some Republicans in the Arizona House of Representatives insist on wasting time on extremist legislation that promotes an ideological agenda focused on undermining the federal government instead of working on what matters most to Arizonans – creating jobs and improving education. Campbell specifically identified SCR 1016 as an example. This is a Senate Concurrent Resolution that would create a ballot measure for the voters of Arizona to amend the state’s constitution to allow the Legislature or voters to decide if certain federal laws are unconstitutional. It would negate the need for a court system, and would undermine the checks and balances system. The Senate already passed this bill, as did the House Committee on Federalism and Fiscal Responsibility. Rep. Lydia Hernandez, D-Phoenix (District 29), said the House Committee on Financial Institutions is scheduled to hear SB 1439 Monday afternoon. This is a bill that would allow people to use gold and silver, instead of money, in financial transactions in the state. Rep. Lisa Otondo, D-Yuma (District 4), points to HB 2318 as another example of legislation designed to support an extremist agenda. This bill would exempt charter schools and district schools that do not receive federal funding from some federal and state regulations. If this bill becomes law, education funding across the entire state would be in danger. Campbell added that if the Republican ideological extremists want to usurp power from the federal government and from the judicial branch they should just be up front about it. 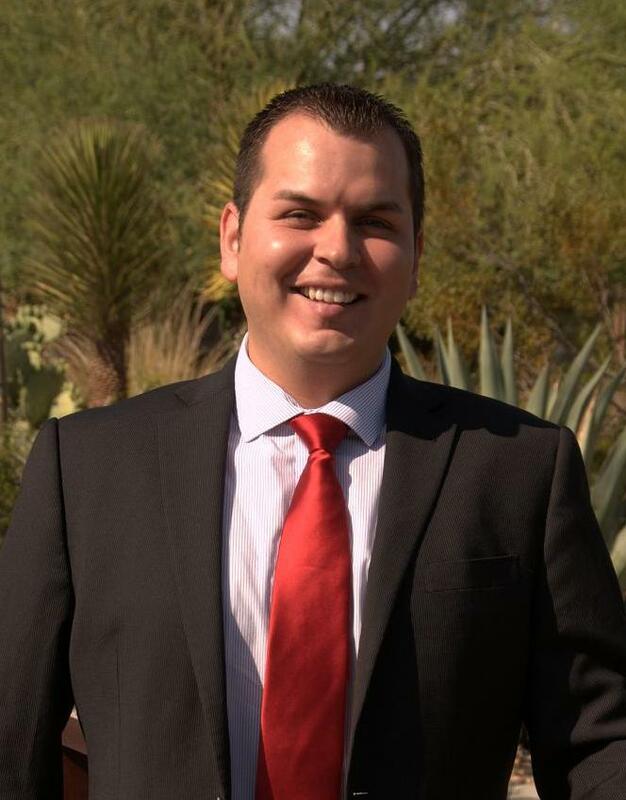 STATE CAPITOL, PHOENIX – After Rep. Mark Cardenas, D-Phoenix (District 19), dedicated HB 2484 to a soldier he served with in Iraq, the Arizona House of Representatives overwhelmingly passed a bipartisan bill he sponsored to support Arizona's veterans. During the vote, Cardenas explained that he lost a friend and fellow soldier to suicide after he returned from the Iraq war. Cardenas said his friend struggled to find work, with depression and with other issues and eventually took his own life. “We need to find ways to ease the struggles our veterans face when they return home,” Cardenas said. HB 2484 would establish a tax credit for individuals and corporations who hire unemployed veterans. It would also give advance notice to veterans for state employment announcements. The House passed the bill, 47-11. It now goes to the Senate for consideration. To view the bill, go to http://www.azleg.gov/DocumentsForBill.asp?Bill_Number=2484&Session_Id=110&image.x=10&image.y=9. Phoenix residents Miriam Gundry (front, left) and Dorothy Anderson (back, left) meet with Rep. Ruben Gallego (front, right), Rep. Martin Quezada (center, right) and Rep. Lela Alston (back, right) to discuss some of the harmful election bills being heard at the State Capitol. STATE CAPITOL, PHOENIX – Today House Democrats met with Phoenix residents Dorothy Anderson, 97 years old, and Miriam Gundry, 88 years old, to discuss several election bills that would disenfranchise Arizona voters. Recently, Republicans have been pushing legislation that would negatively affect some Arizona voters. Both Anderson and Gundry rely on volunteers to pick up and deliver their ballots. SB 1003 would drastically limit who can help voters return early ballots during elections. Anderson invited House Democrats to her home to discuss the ramifications of such legislation. Anderson said she first voted in a presidential election in the 1930s, and she thinks the Legislature should “just leave things alone.” Gundry, who cast her first vote in 1948 for Harry S. Truman, said she thinks the legislation will disenfranchise the elderly. Rep. Lela Alston, D-Phoenix (District 24), applauded Anderson and Gundry for speaking out on this issue. Assistant House Minority Leader Ruben Gallego, D-Phoenix (District 27), added that proponents of the legislation may argue that people like Anderson and Gundry could just mail their ballots. Another bill, SB 1261, would make it more difficult for people to be included on the Permanent Early Voting List and more difficult to stay on that list once they are added. About 50 percent of all Latino voters in Arizona are registered on the PEVL. STATE CAPITOL, PHOENIX – Today the Arizona House of Representatives supported efforts to urge Congress to keep the Cherrybell Mail Processing Center in Tucson open. Rep. Andrea Dalessandro, D-Sahuarita (District 2), sponsored House Concurrent Memorial 2007, which asks Congress to take action against the closing of the Cherrybell Mail Processing Center. 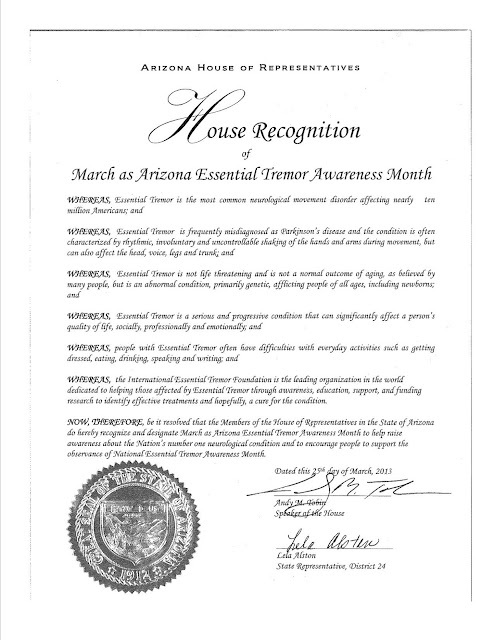 A house concurrent memorial can be used by the State Legislature to make an official statement on an issue outside its jurisdiction. The House voted in favor of the memorial 35-24. It now goes to the Senate. STATE CAPITOL, PHOENIX – Rep. Andrew Sherwood, D-Tempe (District 26), released the following statement today after Republicans in the House of Representatives voted to pass HB 2282. This bill adds a requirement that a recall election be split into a partisan primary election and a general election. Under the current system, a recall election is a special election in which all voters in the district may participate. “This bill flies in the face of the Arizona Constitution, and it was prompted by the Russell Pearce recall. I was a resident of his district at the time of that recall election, and it was clear to me that my neighbors wanted him out. The people exercised their constitutional rights. Just because that did not work out for the Tea Party extremists in this case does not give them the right to change the rules. “The Pearce recall is the first time in our state's history that a sitting legislator has been successfully recalled. So the claim that the system needs to be changed is unfounded. It has worked just fine for an entire century. “Arizona's founding fathers, in drafting our constitution, specifically considered the question of a recall primary election and they rejected that idea, putting in our constitution one special recall election. We should respect the original intent of our founding fathers and keep the recall as one general election at which all of the elected official's voters can decide whether or not to keep him in office.